As Nexus owners, we love our device's operating system, and it's probably the reason we went for a pure Google experience in the first place. But that doesn't mean there's not room for improvement in Android, especially when the OS has so many freely available softMods to tinker with. 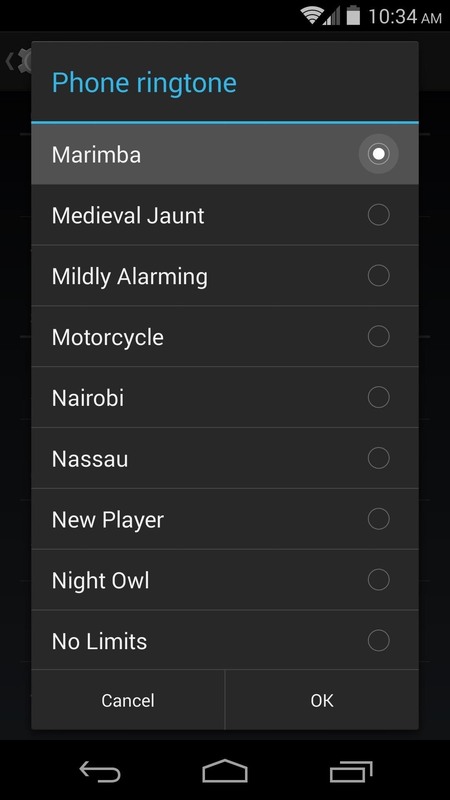 So, if you've ever had the hankering to add a little iOS flair to your Nexus 5, you should expect a plethora of options. In today's tutorial, I'll be showing you one of the more popular ones—how to get basically every sound from the iPhone 5S on your Nexus 5—ranging from ringtones to camera shutter and lock/unlock sounds. Thanks to some work from dev Floris, you can easily grab sounds from our iOS device counterpart. From your Nexus 5, hit this link to download the file that contains all of the iPhone 5S sounds. When the download has completed, power your Nexus 5 completely off. Then hold the Volume Down button with one finger, and press the Power button with another finger. On the ensuing screen, tap the Volume Down button twice to highlight Recovery Mode, then press the Power button to confirm your selection. 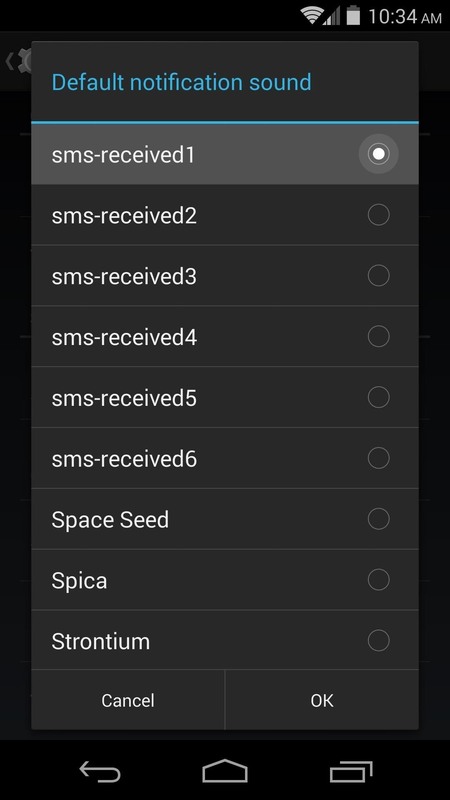 From TWRP recovery, hit the Install button at the top-left. Navigate to your Download folder and tap iOS 7 sounds for Nexus 5.zip. On the next screen, swipe the slider across the bottom to install the files. When the process is finished, tap Reboot System. Once you've booted back up, head into Settings and tap Sound. Under Phone Ringtone, choose one of your newly-installed iOS 7 sounds and tap OK. 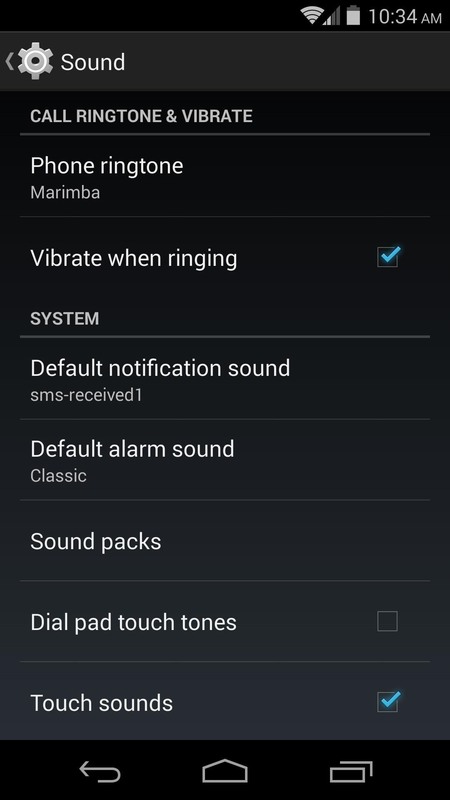 The default iPhone 5S ringtone is named Marimba, for instance. Repeat this process for Default notification sound, with the normal iPhone 5S sound being sms-received1 in this case. Now your Nexus 5 should sound just like an iPhone 5S. The lock and unlock sounds will have automatically changed, as have the camera shutter sound, the video record sound, and the screenshot sound. To get a little more iOS look and feel to go along with your new sounds, check out this status bar softMod by Jesse. If you want to revert to the stock sounds of your Nexus 5, you can simply flash this ZIP using the same process outlined in Step 3.